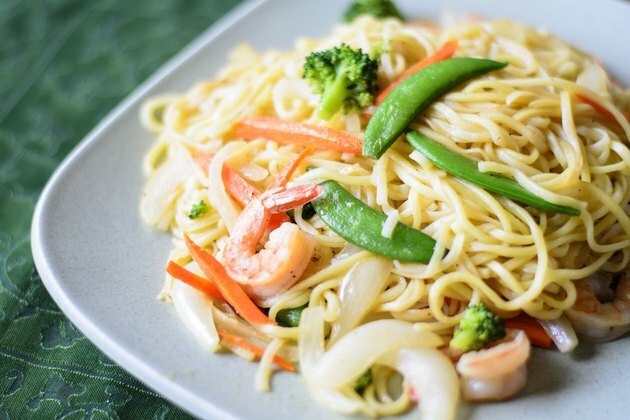 Homemade chow mein is an excellent main dish if you are looking for Asian flair without the saturated fat and MSG present in so many commercially prepackaged dinners. Authentic chow mein is a fairly simple dish made of noodles; a good protein source, such as thinly sliced fish, chicken, pork or beef; and a sauce to pull it all together. Cooking chow mein at home allows you to control the ingredients, making it a healthy and exotic departure from your usual dinner fare. Add dried chow mein noodles and stir them carefully to separate them. Boil the noodles for 2 to 4 minutes, or whatever the manufacturer’s instructions recommend. 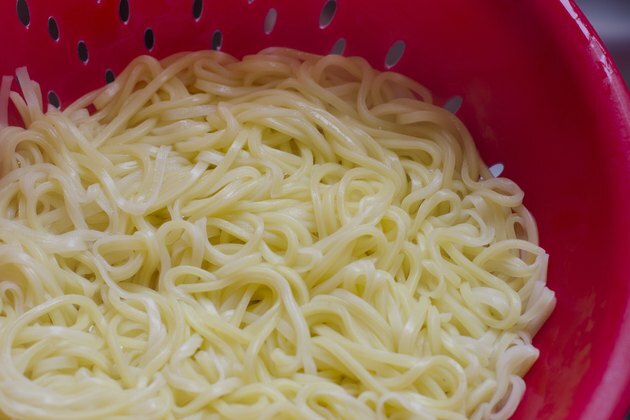 Stir the noodles again to separate them and drain them in a colander. 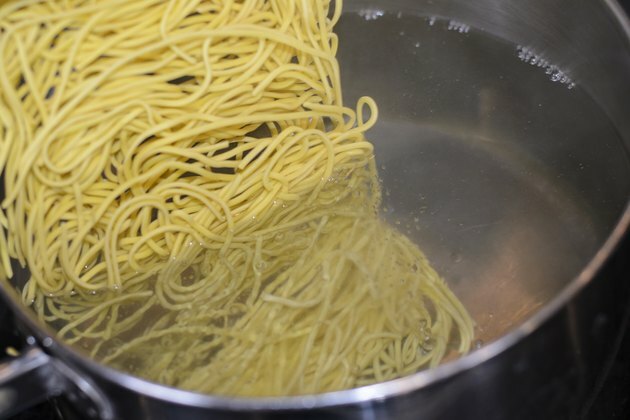 Toss the noodles with oil to keep them from sticking together. 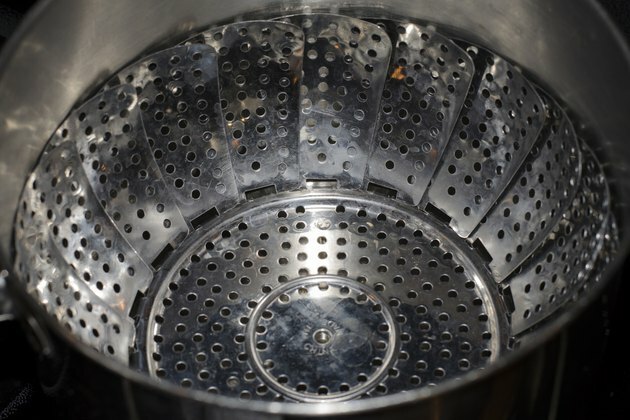 Spray a steamer basket with a light coating of nonstick cooking spray. Place the oiled steamer basket in a large pot. 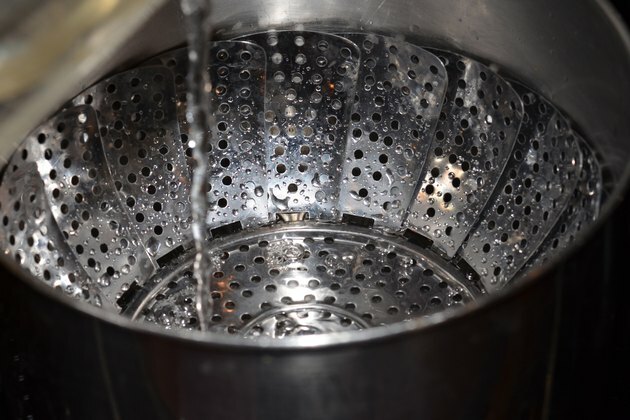 Add enough water to the pot to fill the space below the bottom of the pot and the bottom of the steamer basket. 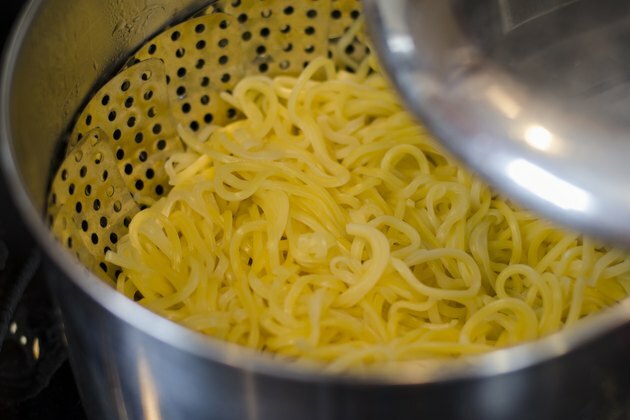 Rinse the noodles in cool water and place the softened noodles in the steamer basket. 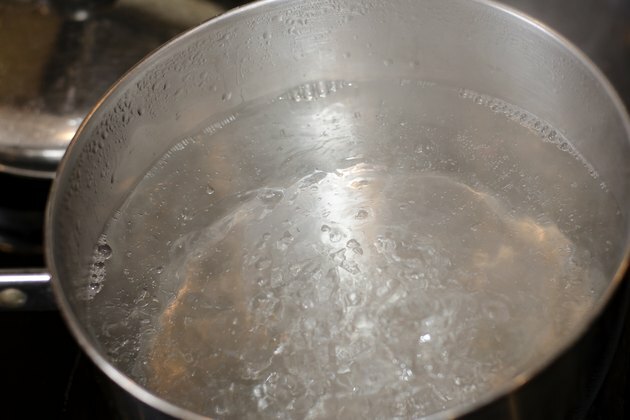 Cover the pot and steam the noodles for 2 to 3 minutes. Drain the noodles without turning the heat off under the pot and the steamer basket. 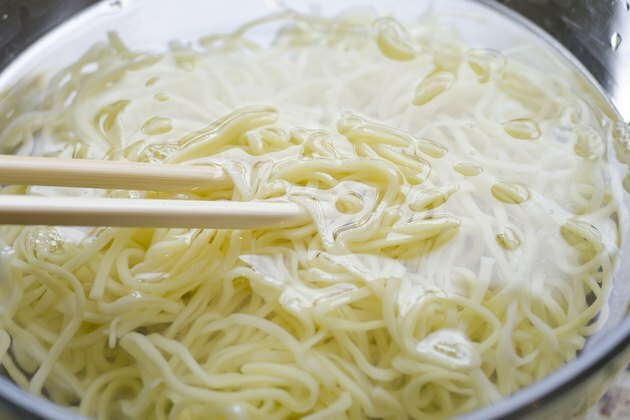 Rinse the noodles in hot water to remove the starch. Return them to the steamer basket. Steam them for another 2 to 3 minutes. 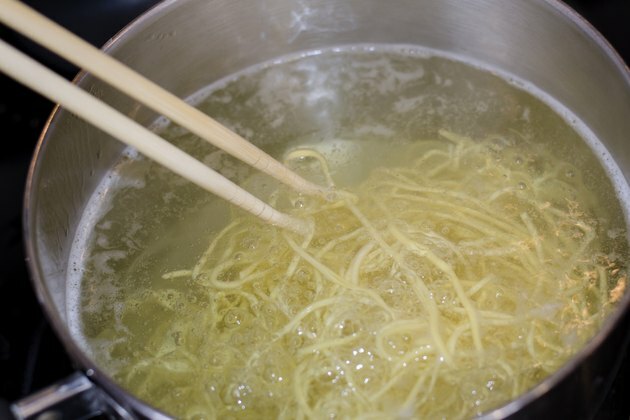 Turn the noodles out into a bowl and splash them with a bit of vegetable or canola oil. Do not overcook dried chow mein noodles or they will fall apart.